Clockwise from left : Terry Bradley, Denis Winters, Mike Harrison and Larry Killip. The Zarks were formed in July 1965 by a group of school friends. Mike Harrison was the younger brother of John 'Yuk' Harrison, member of the Embers, Invaders and Meteors. The group started out playing at school dances and local socials. Once they had enough experience they managed to secure professional gigs at some of the Auckland clubs, like the 1480 Village, the 410 Club and the Monaco and the Galaxy. They were basically a British covers band who played a wide variety of rhythm and blues and pop music. The Zarks lasted from 1965 until 1967 and during that time there were a number of line-up changes. Mike Harrison left and joined Le Frame. He was replaced by Terry Bradley. John Morrell joined the group as a vocalist and Paddy Gibbons came in on keyboards. When Greg Sharples left he was replaced by Tim Biggs on guitar. 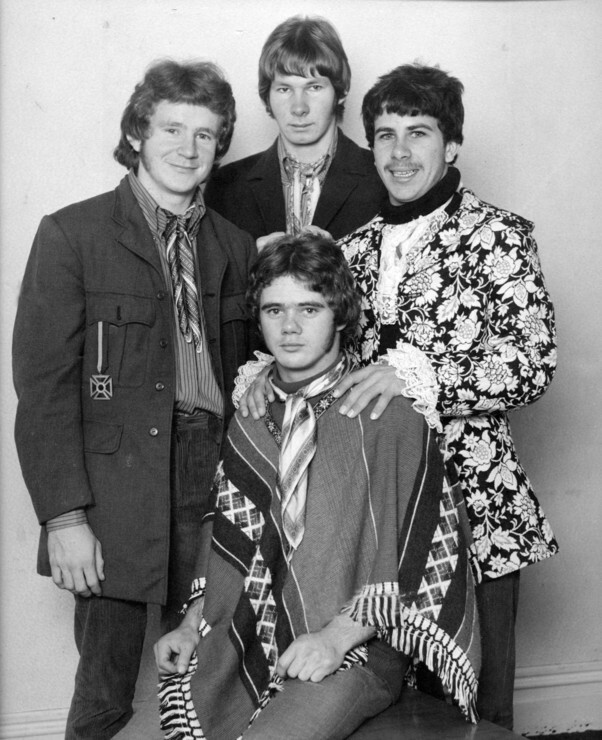 In 1968, four of the current line-up, with the addition of a new bass player, changed their name and became Omnibus. Tim Biggs was to later play in Chapeaux. The Zarks never officially recorded, but did do some home recordings, one of which found its way onto vinyl on John Baker's "Psychedelic No 8 Wire" compilation. For some more info on the Zarks, see Zarks homepage.